There are certainly a lot of advantages when you have your own checking account. Not only is this account useful for individuals who often make large payments, but it’s also convenient for those who receive their salaries in the form of a paycheck. Instead of having to manually deposit your paycheck to your savings account, you can have a direct deposit done to your checking account. Some people even choose to have multiple checking accounts for the sake of convenience. If you still don’t have one, or are planning to get another one, you may want to check out the CompassLink Checking Account from BBVA Compass. 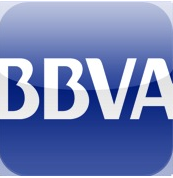 BBVA Compass is one of the United States leading banking systems that operate throughout the whole nation. It is in the top 20 biggest commercial banks with their three major and business units such as retail banking, wealth management, and then of course their corporate banking. Any type of individual, business, or company can find what they need when it comes to financial services. BBVA Compass has 716 branches including states such as New Mexico, California, Arizona, Texas, Colorado, and Alabama. Some of the services they offer aside from their checking accounts include consumer loans, credit cards, mortgages, loans, and as well as small and international services. As of today, the CompassLink Checking account is one of their most popular products. This kind of checking account provides benefits and rewards for every account holder. The minimum opening deposit for the CompassLink checking account is only $25 and its balance will earn the right interest. With regards to the monthly service charge, it will be waived when the account owner will be able to meet some requirements such as maintaining $5,000 as collected balance in the CompassLink account or maintaining the same amount of $5,000 to the checking account in combination with Preferred Money Market. Given the flexibility of the account, it’s not hard to keep a checking account with BBVA Compass.